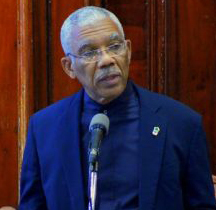 In his New Year’s address, President David Granger says that the United Nations (UN) Secretary General is this year expected to set the course of the long-running border controversy with Venezuela. With the country expecting an announcement by yesterday on the Venezuela border controversy, Granger said he expects that UN Secretary General Antonio Guterres to discharge his commitment. “We signified, in the year 2016, that the year 2017 would be spent in setting the settlement of the unlawful and unreasonable claims to our country’s territory on a definite course. The United Nations Secretary General, in 2018, is expected to discharge his commitment to setting that course in a manner consistent with justice and international law”, the President said in a copy of his remarks released by the Ministry of the Presidency. In recent weeks the government here has said very little about what will happen with the border controversy. Former UN Secretary General Ban Ki-moon had said that the UN Good Offices process would run for one more year and if at the end of 2017 there had been no progress the matter would be referred to the International Court of Justice in The Hague. This is what Guyana has been advocating for. Over the last year Guterres appointed a representative, Dag Nylander to shuttle between Georgetown and Caracas on the matter. There is no sign that any substantial progress has been made in resolving the controversy. “We shall continue to defend every ‘blade of grass’ of our homeland. We shall never cede a centimetre of territory or compromise a tittle of sovereignty”, the President declared. On the domestic front, Granger contended that the country is changing for the better and internal cleavages are being healed. “Guyana is changing for good. We are promoting the good life for all. We are reducing divisions and maximizing cohesion. We are protecting our patrimony, pursuing economic prosperity, promoting respect for national institutions and providing better public services and improved human safety. “We are building a country of which everyone can be proud. “We shall continue to work with all sectors and strata of society to improve our political culture and promote inclusiveness. We must repudiate vulgarity. We must rebuke those who abuse our public institutions and reject the poisonous politics of the past. “We shall continue to work to eradicate the inequalities and disabilities which foster destitution and discrimination. We are creating a more equal society – one with greater opportunities and a higher quality of life for all. “We extend open arms of friendship to all political parties, social organisations and religious groups to collaborate in order to contribute to creating a more cohesive society”, Granger stated. While the President asserted greater cohesion, analysts would differ. 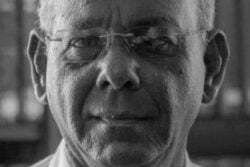 Relations with the political opposition deteriorated sharply over the unilateral appointment by Granger of a Chairman of the Guyana Elections Commission. This led the PPP/C to declare non- cooperation with the government. This also saw PPP/C MPs drowning out the President’s address to Parliament after the end of the August break. Matters worsened last month when there was an uproar in Parliament Chambers after police attempted to evict PPP/C MP Juan Edghill because he disobeyed an instruction by the Speaker. Analysts say developments over the last few months have dramatically deepened the political divide. In his address, the President also cited developments on the social protection front. “We shall continue to work to provide greater social protection for everyone, particularly our women, children, the elderly and persons in difficult circumstances. “We did increase the minimum wage for the lowest-paid state employees by nearly 50 percent; we increased old-age pensions by almost 50 per cent; we increased social assistance by 27 per cent, all in only thirty months. We will ensure that the disadvantaged are protected. “We shall continue to work empower local government organs so that they can bring improvements to communities. Local democracy will be renewed in local and municipal elections in 2018”, the President said. He also cited the declaring of three capital towns last year and what he described as a “surge in agroprocessing, artisanal manufacturing and cottage industries seen in the regional agricultural and commercial exhibitions”. He said that this is evidence of the green shoots of healthy grass-root economic growth. The President noted that young people, through the new Guyana Youth Corps, will receive training in skills to transform their ideas and energy into economic enterprises. “We will work with workers in all industries – especially bauxite, sugar and timber – to seek access to alternative employment”, the President said. That was his only reference to the sugar industry which saw 4,000 workers being dismissed at the end of December. He added that the government will continue to work towards making the country safer for all by improving citizens’ security. Granger said that security sector reform being undertaken with support from international partners, aims at creating safer communities and protecting the people from transnational threats such as illegal narcotics-, firearms- and people-trafficking. Noticeably absent from the address was any mention of developments in the oil and gas sector.